Chichen Itza, a UNESCO Heritage Site, is the largest of the archaeological cities of the pre-Columbian Maya civilization in the Yucatan Peninsula of Mexico. It is one of Mexico’s most visited tourist destinations and recently selected as one of the New Seven Wonders of the World. Pro Tip: If you don’t mind the crowd and vendors, you’ll love exploring Chichen Itza. But if you prefer more quiet and reflective experience, head to Tikal, another large Maya ruin, in Guatemala. These are the vestiges of a fascinating civilization of times past. Well informed guides speaking all major languages are available for hire here or explore on your own with a guidebook and map. The area has excellent birdwatching opportunities. Guests at the Hacienda Chichen have access to the hotel’s bird refuge and extensive nature trails. 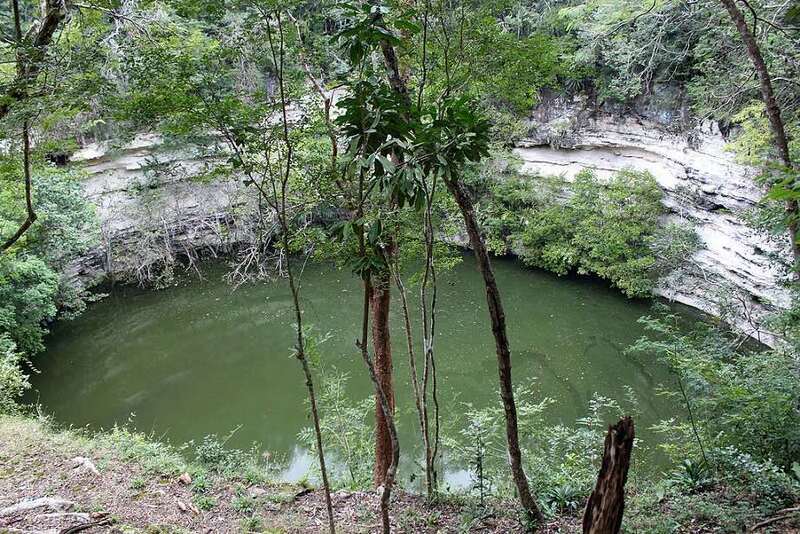 There are several fantastic cenotes, fresh water sinkholes in the limestone, found near Chichen Itza. Some of them are surrounded by lush gardens with restaurants, washrooms, and showers. During a hot day, cenotes make a great way to cool your self off in the afternoon, take a break and split up your day. The Maya would often build newer bigger temple-pyramids atop older ones. Archaeologists have constructed tunnels allowing a view of the earlier temple of Kukulcan inside the later one. Go in the door at the foot of the north stairway, and you can go up a steep interior stairway up to the room on the top where you can see King Kukulcan’s Jaguar Throne, carved of stone and painted red with jade spots. It is an impressive sight, but the climb up the narrow interior passageway may be too much for those with some claustrophobia. Note: You cannot climb the Temple of the Warriors. Sad, but it is for the preservation of the site. BTW, this is the human sacrifice temple. 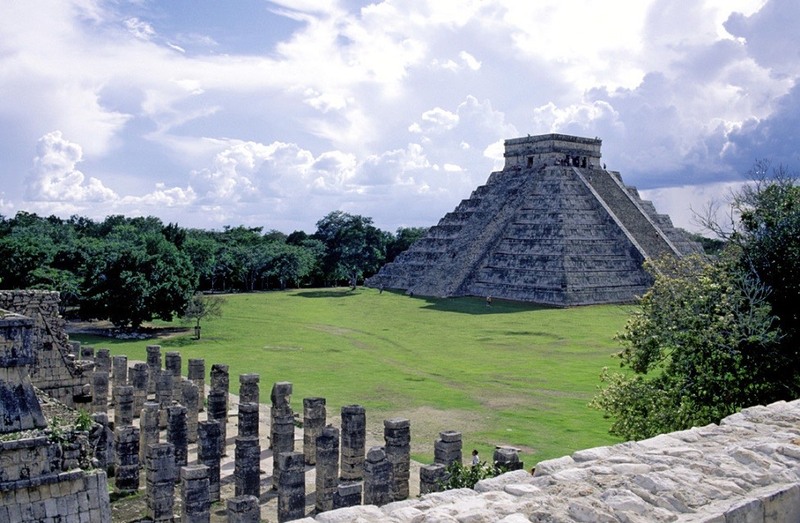 There are 7 courts for playing the Mesoamerican ballgame at Chichen Itza. This one is by far the largest and most impressive, not just at the site but in all of ancient Mesoamerica. Attached to the ballcourt complex, with stone jaguar, feathered serpent columns, and murals inside. There are many Zumbul che structures found in both Chichen Itza and Old Chichen sites. These Maya sweatbaths played an important rule in ancient Maya spiritual traditions as places to purify the mind, body, and emotions, thus getting in touch with one´s pure spiritual energy. El Caracol means the Observatory. 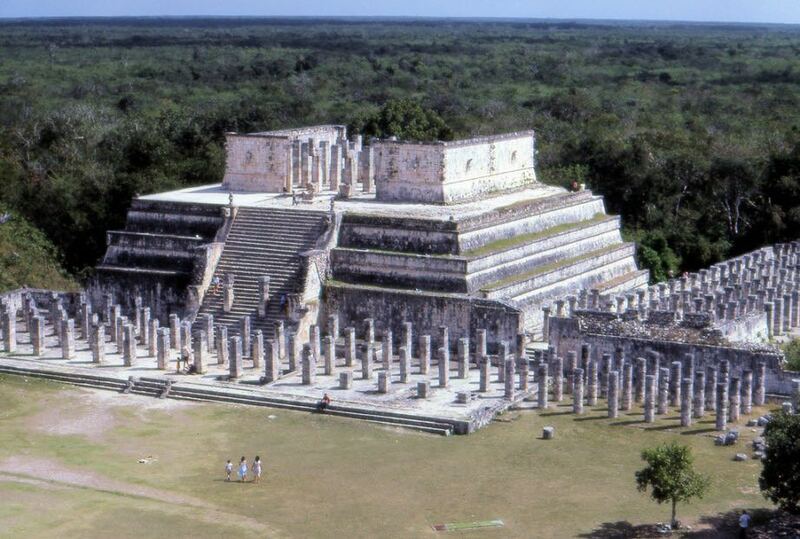 It’s a circular temple on a rectangular platform, also sacred to Kukulcan, served as an astronomical observatory. A smaller version of the “Castillo” served as a tomb for one of the city’s rulers. Chichen Itza’s royal palace back before the arrival of the Toltecs. A palace with hieroglyphic inscriptions. Old Chichen is another group of buildings and temples a few minutes walk from the center of the site. Old Chichen is clustered within the private property of Hacienda Chichen and not open to public visits. This Maya archaeological site is south of the commonly visited Maya ruins. At night starting at eight there is a light show projecting a video onto El Castillo. The show is free, but you should register for it before in one of the Yucatan municipals and then order and print your ticket online. Otherwise, you’ll have the risk to not get a place or at least stand in line a long time. It takes places in the center of the ruins. There’s a light show while a video is projected onto El Castillo and a narrative in Spanish (headsets for other languages are available for a small fee (M$25 in August 2008)). The show lasts around an hour (half hour getting seated, half-hour show) and while it may not be the most exciting (to some), on a nice night it is a pleasant way to relax, watch the stars and see the ruins lit up. They tell a great tale, which is very well done. If you can plan to be there at a “full moon” or a clear night with all the stars, it will be worth the effort, add to the experience and photographic results. During the three most celebrated days which witnesses The Descent of Kukulcan (the 19th, 20th and 21 March), Chichen Itza hosts music, dances and theatrical performances organized in the interior of the site, as well as at the access door. Experience the holistic beauty rituals based on ancient Maya traditions. Offered by Hacienda Chichen hotel.